Commissions are a tricky venture and not my favorite thing to do. I am always anxious about pleasing the customer. I just completed this dictionary drawing of a very unusual breed of dog - A Chinese Crested Dog which is either covered with a heavy coat of unruly fur or partially hairless. 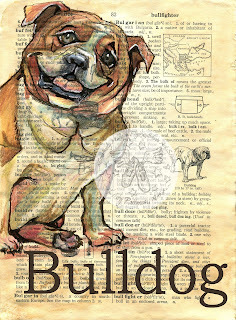 This commission was requested as a gift for someone who raises and shows these dogs. The customer sent me photos of the actual dogs her friend loves and shows. She requested the dictionary word be "Crested." She also mailed me her own dictionary page from a book she treasured. 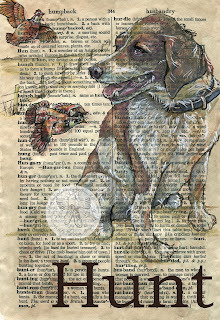 I've done a variety of different pet commissions. 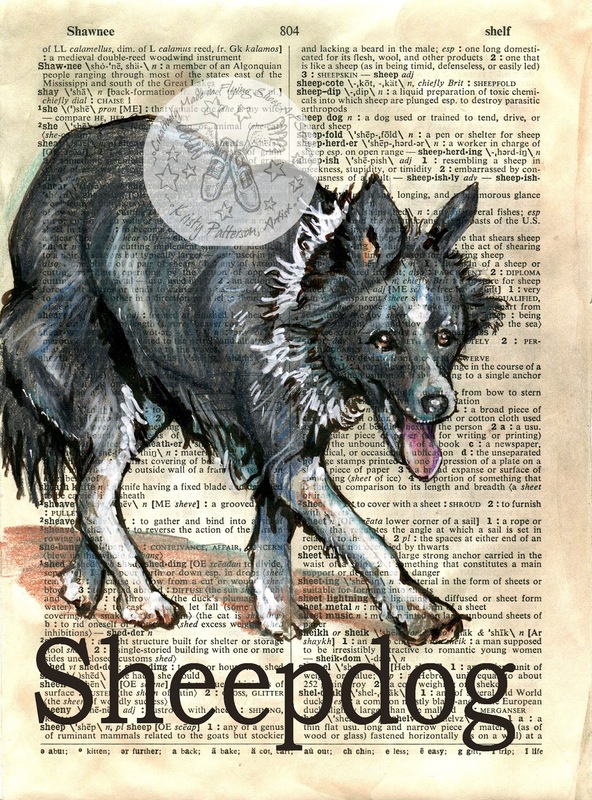 When I show my work at galleries or festivals I am often asked for dog pages and its difficult to have a generic dog page. 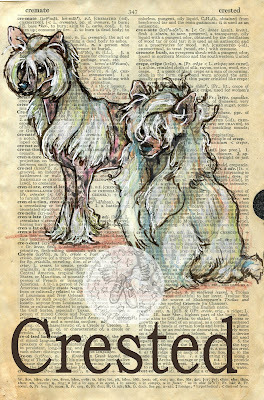 Everyone has a favorite breed of dog and often a very prized pet that is like a member of the family. This bulldog drawing was created from a customer's photo, too. I loved his happy face. Both of these drawings were created from customer photographs. We once had a black and white sheepdog very similar to the sheepdog drawing. She was a part of our family and we still grieve her death. 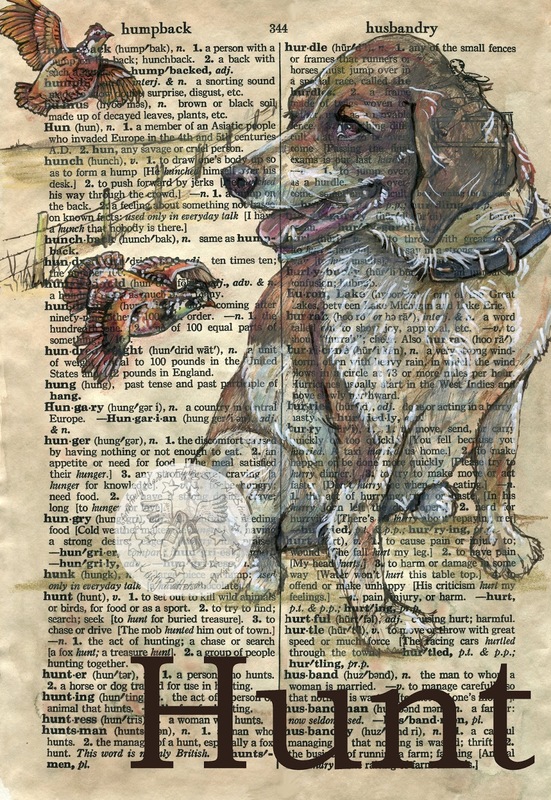 The hunt drawing was created as a gift for a customer's father to celebrate a once treasured and adored hunting dog. She looked like such a sweet, affectionate companion.